I upgraded from Teamcity 9.1.1 to teamcity 9.1.3 yesterday. Anyone else seen something like this or know where I should be looking to fix this? I have attached some images to show our build step and the output in the build log. Just to add to this, I have uninstalled the 9.1.3 agent from the build servers that I had installed it to. I have reinstalled the 9.1.1 agent, and everything is working fine again. 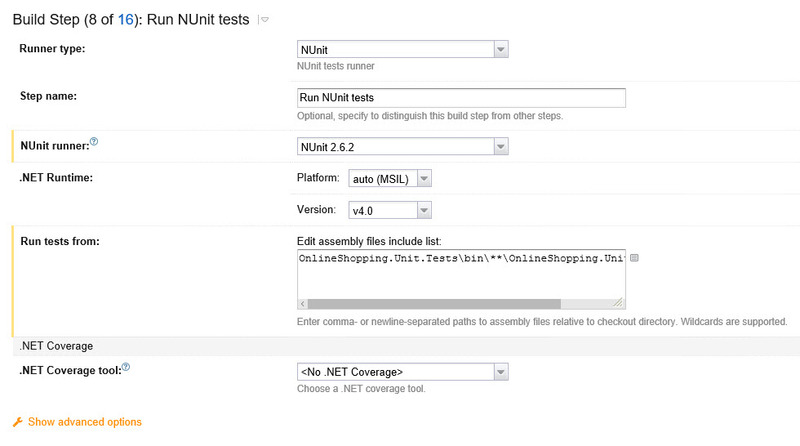 All Nunit tests run properly with the 9.1.1 agent installed. If someone else faced with the same problem, please see the related issue: https://youtrack.jetbrains.com/issue/TW-43160.